So how does Silpheed measure up? At the time it was first shown in magazines, this game was quite drool-worthy. 3D polygons - wireframe, filled, anything - were a rarity in any console game at that point, often relegated to a special particular segment of a game. 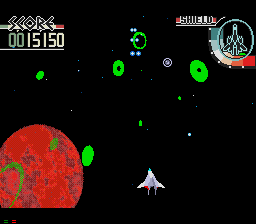 Starfox and Silpheed promised entire games making use of the tech, and the screen grabs looked nothing short of revolutionary. Starfox reared its head first, and wowed audiences with very immersive gameplay, fast action, engaging characters, plenty of colorful scenes to battle in, and tight control. A new standard was set, how would Silpheed stand up? Well, it did alright. Silpheed looked like it was one of those games that might sell units - but after one got their hands on it, "ehhh... maybe not." 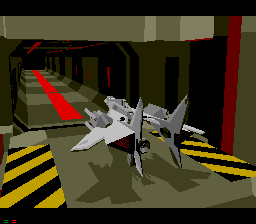 It did utilize a powerful polygonal engine much like Starfox, that much was true - but whereas the other game actually placed you inside the "realtime-rendered" 3D world, Silpheed merely superimposed the action over a pre-rendered sequence. 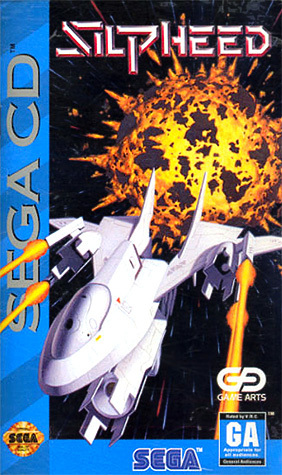 It was a dupe - and though it looked very cool, it lacked a lot of the tight interactivity that Starfox spoiled us with. 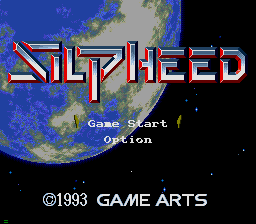 This is not to say the game was not good - Silpheed was still an enjoyable journey, a fun (if dated) straight-on blaster with engaging visuals and endless foes to blast. The game sported plenty of attractive cutscenes to draw the player into the story. 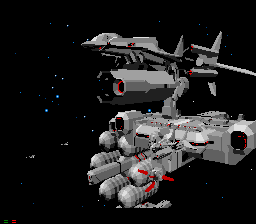 Unfortunately, once the cutscenes gave way to actual gameplay, the whole affair felt rather shallow compared to the competition. Silpheed was a fun game which didn't quite make good on its promises, and it is still an enjoyable diversion to pick up today. The franchise has had a strange genesis and this is just another appropriate stop along the way. 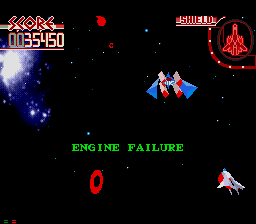 Unfortunately for the Sega-CD, the game didn't hit it out of the park compared to the competition and so became just another also-ran, a game you'd play through once or twice before tossing into the back of your closet. Writing about it makes me want to dig up the PlayStation 2 version though, an under-appreciated gem which is a good time in spite of the undeserved flack it gets.